Research Papers on exactly what is Encryption? What is Encryption? research paper explains how encryption was just a pencil and paper technique up until World War I when machines began to be used to code information. Understanding technology and computer encryption is essential in today's world of cyber attacks and security breaches. Have Paper Masters custom write a research paper on exactly what encryption is and how it is used today. You tell us what type of encryption you want to focus on and our writer will compose a project exactly how you need it to be. Encryption is a form of cyber security created by altering information before transmission, so that only an authorized sender and receiver can encode and decode the information. It is a fairly effective form of information security. While the technology that enables encryption to code and decode messages sent over telephone lines is a product of the late twentieth century, encryption has been around for centuries, most notably as a province of war rather than commerce. As early as the 5th century B.C., the rulers of Sparta employed a cipher device called a scytale to disguise communications of an official nature that for delivery by courier. If intercepted by an enemy, it was unreadable. This method of security protected vital information from reaching enemy hands for centuries. Encryption remained a pencil and paper technique up until World War I when machines began to be used to code information. These electronic mechanical devices both produced strong ciphers and increased the speed of encoding and decoding. They eventually gave way to the construction of the world’s first digital machine. Following the World War II engineers began to experiment by programming computers with ciphering and enciphering technology, marking the advent of electronic encryption. Like virtually all such techniques since Caesar’s time, the new electronic encryption was primarily utilized to keep military secrets. However, as one author notes, the use of this technology changed dramatically in the late 1970s and early 1980s when organizations other than the government began transmitting sensitive information over phone lines. While most encryption attacks have proved themselves to be harmless attempts to prove the weaknesses of advancing encryption methods, the implications of both proffered and clandestine attacks has demonstrated that more secure methods and techniques of encryption across networks is imperative. Nevertheless, until fail-proof techniques are developed, businesses, private users and the government alike continue to take advantage of the safeguards that encryption currently affords. The underlying concept and purpose of encryption as it pertains to all types of transactions across networks of any sort is the ability to transmit such transactions with the confidence that they cannot and will not be intercepted and viewed by anyone other than the intended receiver. In essence, encryption allows for the adequate coding of a message or transaction along a network by a sender and the subsequent decoding of such message by no one other than the receiver. A key must be exchanged between the sender and the receiver to decrypt encrypted messages. This key is used to both encrypt and decode messages between the two. A single secret key or symmetric cryptosystem can be used, which also has the capacity to secure or protect files on a user’s personal computer. While this technique is more than efficient for non-commercial purposes, the security and transmission of commercial or highly sensitive information requires stronger encryption methods. 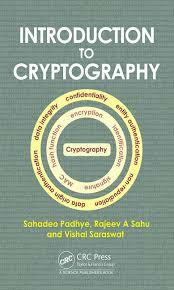 Symmetric key encryption uses a single key for the coding and decoding of information. The algorithm in this case is made public or exchanged between recipient and sender, which requires special attention that the key remain confidential to only those participating in the exchange of information. An intercepted message remains secure only as long as the key is held by the appropriate sender and recipient. Asymmetric encryption uses two keys, public and private to secure the transmission of information, and which are created by a single user. The user has sole access to the private key but may distribute or publish the public key. Each key plays a role in encoding and decoding the text of a message. Asymmetric encryption offers the advantage of not having to exchange a secret key however the lengthy mathematical computations required for encryption make it impractical for sending large messages. This limitation has been addressed by the combination of public key encryption and secret key distribution. In this case, the sender can encrypt the message’s secret key with the recipient’s public key and append it to the encrypted document. Security is maintained because the sender also digitally signs the message, which proves that it originated from the sender. This technique is unique in that it uses a method of authentication to provide an even greater level of security. In a comprehensive white paper on the security threats of distributed computing, author Andrew Twyman details the concentrated power that parallel computer offers in cracking the encryption techniques used under several network protocols. While Twyman concedes that parallel computing is not a new concept, its role as a vehicle for encryption cracking is a relatively new phenomenon and “lends itself very easily to this method of attack”. Surprisingly, one of the first concerted efforts for breaking RSA encryption techniques was an official call for challengers in a contest to test RSA factoring in 1991. An SSL challenge followed in 1995, which was especially significant in that it focused on the burgeoning capacity of the World Wide Web as a medium for secure information exchange. Challengers were instructed to “crack a web session with Netscape’s SSL encryption based on the RC4 stream-cipher with a 40 bit key”. Clearly, the purpose of this challenge was to determine the potential fallibility of the current encryption systems, which it did in approximately eight days. The encryption system was undermined by two challenging efforts that utilized parallel machines and locally distributed systems. Twyman suggests that the increase in both computer and Internet use makes a fertile groundwork for the potential misuse of parallel and distributed computing, especially for distributed encryption cracking. At the same time, he points out that encryption cracking is often a random process that relies on finding a single, unknown key rather than a search for a specific key used in a specific algorithm. Twyman also suggests that single keys are the most vulnerable to attack and present the greatest weakness in parallel computing methods. Used primarily in the transmission of email messages, single keys are adequate for handling less sensitive information however if a session should include a login ID and password, especially of a networks system administrator, the implications for a system breach and damage become even greater. Online Privacy - Online Privacy research papers examine Internet privacy issues that relate to the exchange of a user's information without their knowledge. Outsourcing Information - Outsourcing Information Technology research papers write about IT and how it outsources easily. Personal Computers - Personal Computers research papers on how personal computers have seen a tremendous growth along with the PC Industry in the United States. Technological Communication - Technological Communication Research Papers begin with a clear statement of the industry you are studying, your reasons for studying it, and your focus, then specifically introduce your approach to the past of this industry. How to Write a Research Paper on What is Encryption? Paper Masters Custom Research Papers on What is Encryption? Paper Masters writes custom research papers on What is Encryption and explicates the difficult technology topic of data encryption for information security.